BECAUSE EVERYONE HAS A DREAM AND WE’LL HELP YOURS COME TRUE! CONFIDENCE, CONFIDENCE, CONFIDENCE! You WILL get there! We’ll take the guesswork out of preparing for your dream! Full support up until the day you depart. Programs tailored to your level of fitness. Have more energy for life. Maximize your time in the gym. Improve your physique AND your health! You will receive a customized exercise program made just for you. If you document your progress, we can provide more specific direction. If you’re gaining stamina, we’ll re-work your program. If your program is too challenging, we’ll tweak it to fit your needs. You’ll have tangible evidence of your progress at your fingertips! Be prepared for the unique demands of your specific itinerary. Diminish chances for injury or overexertion. No matter how difficult the journey, Fit for Trips WILL get you there! And you’ll have more energy for long days of exploring and excitement! Reach your summit, take your pictures and savor those memories for a lifetime! Programs are not “one size fits all”. Highly trained fitness experts will tailor-make YOUR program so it’s fun and realistic. We will ensure that your program fits your lifestyle, budget and fitness level. Your DREAM will become a REALITY! If you are 6 months away from your departure date, but want to get started on your training program, we can do that! We’ll discuss how you can use the training program you purchase to your advantage. As your date of departure draws near, we will begin your program in earnest at no additional cost! Once you purchase a fitness package, Fit for Trips is you partner! At Fit for Trips, we provide fitness programs so that you will be in the optimal physical shape to enjoy your adventure trip exactly as your tour operator intended. We don't plan your trip. We don't guide your trip. We don't go on your trip. We help you prepare. Founded by fitness trainer and adventure enthusiast Marcus Shapiro, Fit for Trips is quickly emerging as the go-to company for itinerary-specific resistance and endurance programs. We are dedicated to improving the physical fitness of adventure travelers worldwide, creating pre-departure fitness programs for some of the tour operators that have been recognized as “THE BEST ADVENTURE TRAVEL COMPANIES ON EARTH” by National Geographic Adventure Magazine. With over twenty years of fitness experience and a love for adventure travel, Marcus decided to meld these two passions into Fit for Trips. He began developing the Fit for Trips concept back in 1999, but it was not until 2004 that he decided to harness the power of the Internet. Interviews with adventure travel company owners and industry leaders confirmed that Fit for Trips could contribute to strengthening the adventure travel industry. A survey of adventure travel enthusiasts confirmed that adventure travelers were interested in pre-trip workout programs targeted to the activities on their itineraries. After years of hard work, Fit for Trips launched in June 2009. Our easy-to-use programs are revolutionizing how travelers prepare for their adventure travel trips. We are so sure that you will be completely satisfied that we offer a full-money back guarantee. Give us a try. Join the Fit for Trips family. You won’t be disappointed. Fit for Trips is staffed by a passionate group of highly-trained fitness professionals and adventure enthusiasts who are committed to your success. Marcus' career in personal training began in 1993. From the beginning, he dedicated himself to providing his clients with the highest level of commitment and service. As a result, he's retained many clients from the early days of his practice - more than 14 years. Marcus received his BS in Athletic Training and shortly after earned his Certified Strength & Conditioning Specialist (CSCS) designation. This combination is unusual, but significant in the world of personal training. His athletic training education has enhanced his ability to work with clients who have sustained orthopedic injuries. The CSCS designation - prevalent in collegiate, professional and Olympic conditioning coaches - ensures that clients receive the most progressive and up-to-date training techniques. Marcus is trusted by his colleagues in physical therapy who refer to him their discharged patients, and is appreciated by his clients who rely on his vast knowledge and professionalism. His many years of fitness experience and adventure travel allow him to confidently extend his knowledge to you through Fit for Trips. Marcus has traveled the	world in search	of adventure. He has explored	both ends of the country by bike including the backwoods of Montana and the vast singletrack of Moab, Utah as well as trails in the North Georgia mountains	and Tsali, North Carolina. His adventures	have also led him to East Africa, French Polynesia,	Costa Rica and the Galapagos Islands. In addition, he was a competitive adventure racer. 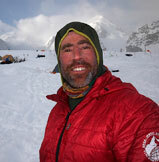 Marcus’ interests and experience go way	beyond the world’s highest peaks. He is also an active father of two boys, the inventor of	a portable dry-land training device for paddlers	and	creator of virtual software for personal training. Matt is a certified Ski-Mountaineering Guide with the American Mountain Guides Association and an AIARE avalanche safety instructor dedicated to perfecting his craft. He began his professional ski career in 1993 as a ski instructor and let his curiosity for steep wild places lead him to a full time career as professional mountain guide. Matt began skiing and alpine racing in New York's Catskill mountains at 9 years old and a summer ski trip to Mt Hood inspired him years later to move from New York City to Washington State for college and he never looked back. Matt found a way to combine his passion for travel, wild snow and big mountains by guiding trekking, climbing, skiing and making connections across cultural and linguistic divides around the globe in Antarctica, Europe, Asia, North & South America. He has made many technical climbs & ski descents in the Vinson Massif of Antarctica, Chamonix, Denali, Mt Rainier and Nepal In an effort to help preserve wild places, Matt completed his MBA in sustainable business from BGI and started his own company, Back Country Adventure Guides. When not out trekking, climbing or skiing, Matt works on his own personal sustainability in Seattle with his wife, daughter and his snow dog. 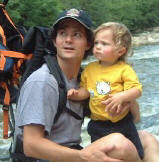 John is a fourteen-time qualifier for the USA Canoe/Kayak Wildwater Team and a lifetime outdoorsman. He also participates in hiking, mountain biking, and of course, coaching others. 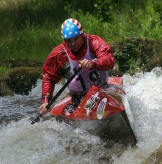 He is a medalist in numerous International Wildwater Competitions and a seven-time US National Champion. John has just recently stepped down as the Chairman of the Wildwater Committee of USA Canoe/Kayak, which allows him to be more active as a coach and mentor for the USA Wildwater Team. 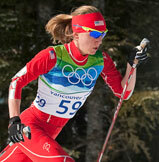 Caitlin Compton is a 2010 Winter Olympian in the sport of Cross Country skiing. She has won 3 Nationals Titles and represented the USA in 2 Nordic World Championships and 1 Biathlon (skiing and shooting) World Championship. Caitlin began skiing and hiking at a young age in Vermont and continued to compete in alpine races, triathlons, and adventure races throughout her high school years. Caitlin competed on both the alpine and Nordic teams throughout high school. She attended Northern Michigan University in Marquette, MI and slated to be on both the Alpine and Nordic Ski teams her first year but after an extremely successful running season where she placed 16th at NCAA's the head Ski Coach decided to keep her winter schedule a bit lighter. Nordic Skiing became her main focus after college and while on the Regional Olympic Development Team (CXC) she began dominating the North American Ski Circuit and Qualifying for World Cups. Caitlin currently lives in Minneapolis, MN where she coaches high school and college age kids in the mornings and master skiers in the evenings. Currently she spends many hours training with other Elite Athletes such as Alpine Skiers, Soccer Players and Mountain Bikers at her strength facility. She loves spending her winters traveling on the race circuit throughout North America and the World. When she is not Nordic Skiing she enjoys backcountry skiing in the mountains, snowshoeing in Northern Minnesota and teleskiing at Mad River Glen in Vermont for cross training. 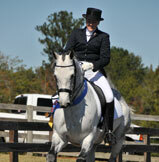 Lara is an avid equestrian and an adventure travel enthusiast. She has been riding since the age of five, and currently works with trainer Karen Lipp out of Alpharetta, GA. She also supplements her training through regular clinics with world-renowned industry professionals. In addition, Lara trained under former United States Equestrian Team coach Daniel Stewart to become a certified Ride Right Apprentice. This program provided Lara with a wide array of equestrian focused exercises and gave her a deep understanding of the crucial elements necessary for helping riders achieve optimum fitness. Lara has been an active member of the United States Pony Club for many years, and completed the highest level of the "A" Rating during the summer of 2005. Lara has received many year-end awards, and this year Lara qualified for the United States Dressage Federation Developing Horse Championships by having one of the top fifteen averages in the country. In addition to her equestrian endeavors, Lara loves to travel and has been to many amazing locations around the world. She also recently received her Bachelors of Business Administration from the Goizueta Business School at Emory University in Atlanta, GA.
Dr. Martino is currently the Exercise Science Program Coordinator and Human Performance Laboratory Director at Georgia College & State University and serves as the National Strength and Conditioning Association's Southeast Regional Director. He acted as a USA National Team Swimming Coach for 10 years and was a member of the 1992 and 1996 Olympic Advisory Coaching Staff in Barcelona and Atlanta. Dr. Martino reviews and field-tests all FFT exercises to check for efficacy and scientific soundness and stays current on all of the latest exercise research. Justin has competed for more than 12 years in triathlons, running and adventure races, and is an important contributor in the creation of Fit for Trips endurance programming. 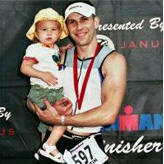 His knowledge, passion and experience as an endurance athlete make him a highly qualified FFT family member. He has worked with many world-class coaches, each with varying philosophies, gaining firsthand knowledge and insight into endurance training. He is one of the best advisory authorities outside the field of exercise science to contribute endurance training programming for Fit for Trips. Our policy at Fit for Trips is simple. If you're not completely satisfied with any part of your Fit for Trips experience, we will give you your money back‡. Period. That's how confident we are that we will overdeliver on your expectations and get you mentally and physically prepared for your adventure travel trip. At Fit for Trips, we are completely committed to your success and satisfaction. If you have a question, we will answer it. If you have a problem, we will fix it. We believe that getting ready for your trip should be almost as much fun as the trip itself. ‡ You will receive a 90% refund if your refund-request is 59-plus days after your purchase. Proprietary market research conducted by Fit for Trips supports strong interest on the part of consumers in the Fit for Trips concept. The adventure travel market is estimated at between 20% (National Geographic and TIA Geotourism Study, 2003) to 25% (Mintel, 2001) of the total travel market with 40-45% of consumers indicating an interest in taking adventure travel trips (Leapup Marketing Adventure Traveler Survey, 2004 and Virtuoso Luxe Report). And the adventure travel market is growing rapidly, 10-20% per year (TIA, 2005) as the affluent and increasingly active baby boomer market has the time and desire to fulfill their dreams of travel and adventure. A 2005 AARP survey of boomers ages 41-59 confirmed that a majority of boomers consider themselves adventurous (55%) and 77% consider their own travel experiences more adventurous than their parents'. Staying fit was very important to 67-81% with 32-61% of respondents say they are committed cross trainers or actively training for a competitive athletic event and 58-78% indicating they have trained for a fitness challenge in the past. 55-69% indicated they would take a vacation to improve their level of fitness and 76-94% would take a vacation to meet a specific physical challenge. 61-71% indicated they would want to access a pre-trip workout program targeted to the activities in their itinerary. Fitness enhancing interests ranged from building endurance (73-83%), improving strength (56-62%), improving flexibility (48-65%), developing power (40-51%) and improving agility (43-59%) and balance (39-55%). 47-62% indicated they would want to continue to use their fitness program post-trip.